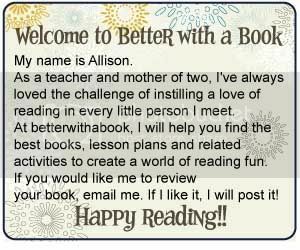 Better With A Book: Looking for a gift for your loved one learning to read? Looking for a gift for your loved one learning to read? My friend's daughter just received this book for her fifth birthday and it was love at first sight! 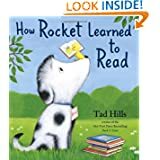 How Rocket Learned to Read, By Tad Hills is a book about a little dog named Rocket. He loves to play outside and chase sticks, but he doesn't know how to read. He stumbles upon a teacher, a little yellow bird, who teaches him to read. Rocket learns the letter sounds and then starts to sound out and form his own words. The pictures are engaging and reads as if it's teaching you how to read! I am already in love with Hill's book series, Duck and Goose, and it looks like Rocket will be sneaking his way into our bedtime story collection soon! I plan to give this book to Kylie the night before her first day of Kindergarten! Check out this video link I found on Amazon about the book! Love it!